Fringe science is scientific inquiry in an established field of study that departs significantly from mainstream or orthodox theories, and is classified in the “fringes” of a credible mainstream academic discipline. Mainstream scientists typically regard fringe concepts as highly speculative or even strongly refuted. So why am I writing about this highly debatable field? One reason is that all popular TV DVDs are out due to rains in Mumbai limiting time on the bike. Next, is to introduce people to some of the crazy TV that we watch. Do expect a lot of series’ to be covered in the next few months. A couple of months back, Yooti and I had just finished watching Mad Men, the popular television serial, and were debating which sitcom to watch next. After doing some research on IMBD no conclusive decision was reached – anyways we still went to the DVD shop – once there I kept staring at the large collection of popular TV series’ available. This time around I was clearly looking for the sci-fi genre, the sales man recommended Super Natural and Fringe. 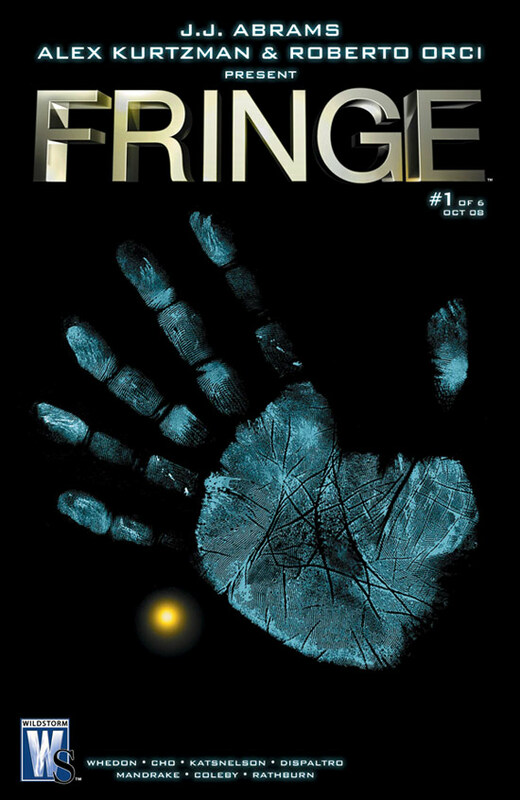 In the interest of saving some money, I picked up Fringe (only 2 seasons at that time as compared to 6 in Supernatural – it is a separate discussion that I did end up buying Supernatural later). We had lunch and went home after that. Later that night we started watching Fringe, after watching the pilot episode we both arrived at the same conclusion….this is probably one of the best shows we have seen in a while. Here is the trailer introducing Season 1. 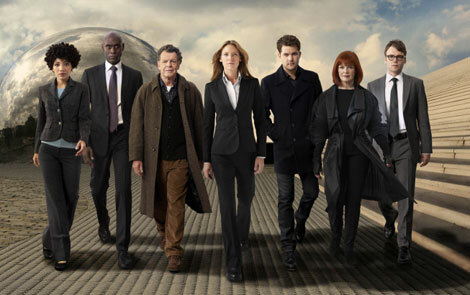 Created by J. J. Abrams, Alex Kurtzman and Roberto Orci, the series follows the lives and cases of the Fringe Division, a Task Force supported primarily by the FBI; the team includes Agent Olivia Dunham, Dr. Walter Bishop and Peter Bishop. They are supported by Phillip Broyles and Agent Astrid Farnsworth, who assists Walter. The Fringe Division investigates cases ranging from transhumanist experiments gone wrong to the prospect of a destructive technological of singularity. They are supported by the members of a company called “Massive Dynamics” – Nina Sharp and William Bell. What makes this sitcom different from others like the X-Files is the meticulous characterization of the cast and the storyline; each episode can be watched as a standalone piece of content, but all 24 come together to reveal a plot that just boggles the mind! 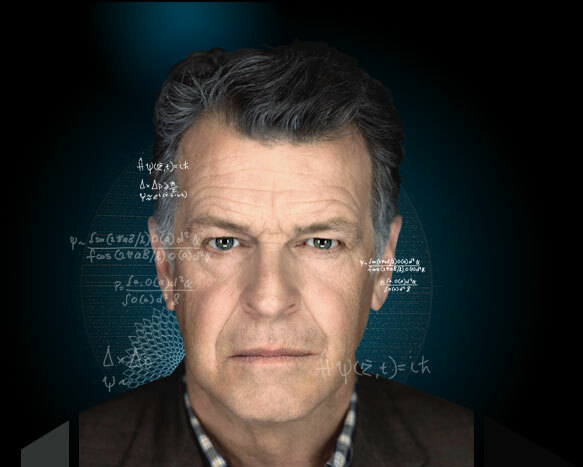 Fringe actually has you questioning and de bating episodes much after you have finished watching them – Walter Bishop’s character played by John Noble is unforgettable. Referred to as “The Einstien of our generation” the character is funny, smart, eccentric and definitely the driving force behind each and every episode. For all of you who don’t know who John Noble is – he played Denethor in The Lord of the Rings – he is also Artistic Director of Stage Company of South Australia 1977–8, head of Drama, Brent St. School of Arts (Sydney) 1997-00, has directed over 80 plays, including ‘Sons of Cain’ on London’s West End (1986), a freelance actor. Semi-regular in TV series ‘All Saints’ and a Voice and Acting Teacher. Fringe is a DVD turner! Once you start watching it will take every bit of your will power to press the stop button on your player – an absolute must watch for people who enjoy science fiction. I am currently watching season 4 and some of the theories are out of whack! 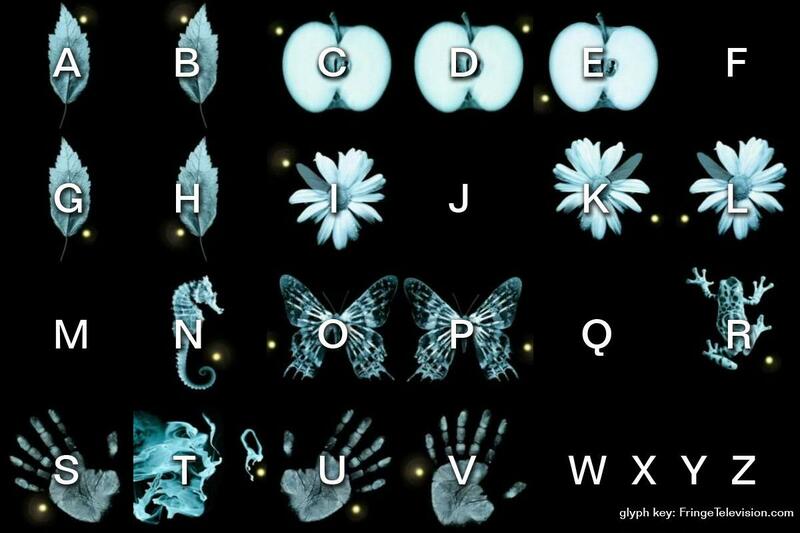 If you are already a fan, there are a bunch of comics published by DC that are prequel to the series and a must read…a word of advice, the series has a way of taking over your life……Finally check the image for the glyph keys as shown in various episodes of the sitcom – let me know if anyone has a solution out there…. For die hard fans, here is the opening sequance with the absolutely haunting theme.